Ingo Mittelstaedt uses paper, foil, and found materials to create carefully composed arrangements that explore the relationship between light and dark. These installations use abstract and deceptive visuals with two and three-dimensional elements to create evocative, beautiful images. Specifically exploring two of Mittelstaedt’s series, this striking volume shows a new perspective in photographic abstract expressionism. In the series Chromas, Mittelstaedt explores color, using radiant hues of blue, red, and yellow in each composition, and delves into the fundamental theories behind chromatics, while reinterpreting themes found in modernist paintings. In contrast, Mittelstaedt’s series Anonymus uses black and white images to create optical illusions—specks of dust appear as faraway stars, objects hover in space. 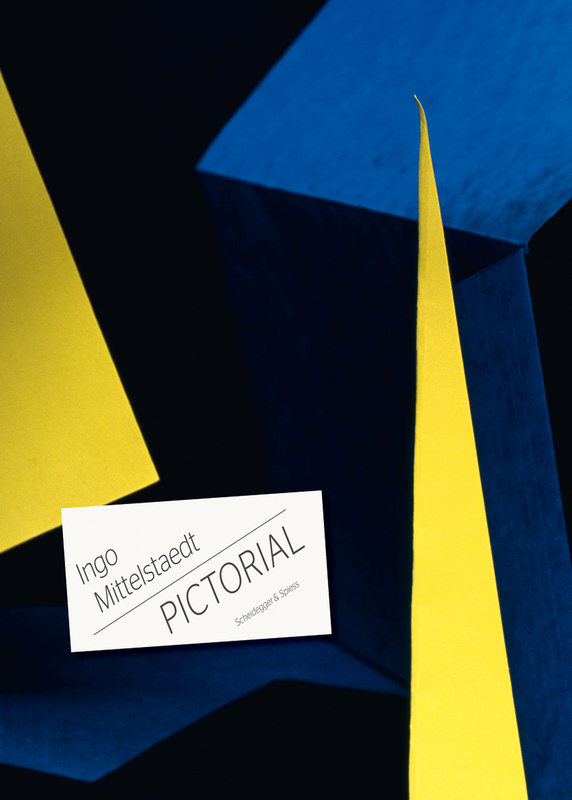 An in-depth investigation of an important contemporary artist, Ingo Mittelstaedt—Pictorial presents and contextualizes Mittelstaedt’s photographs.